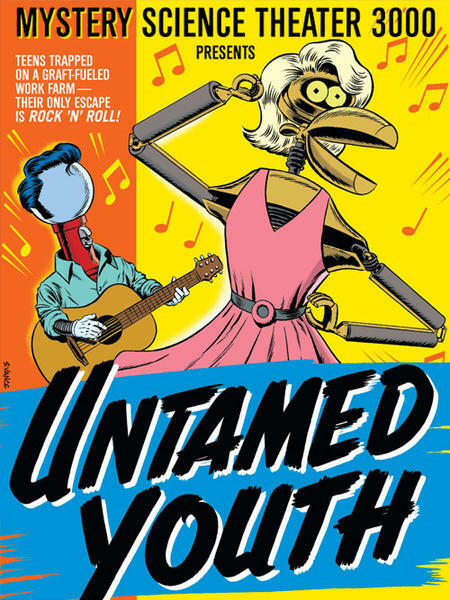 It’s the unbridled horror of 50’s youngsters galavanting about in all their youthful glory! Two sisters are apprehended for hitchhiking and skinny dipping (luckily not simultaneously). The punishment for such promiscuity? Thirty days hard labour down on the ol’ cotton farm. Luckily for the sisters, the indentured servitude isn’t nearly as despondent as the four musical numbers! Did we mention this is a drama? Good, because you’ll need several reminders. Oh, and Eddie Cochran plays a prisoner named Bong. Nothing really to it, but the preceding sentence is at least 75% more entertaining and action packed than the film itself. 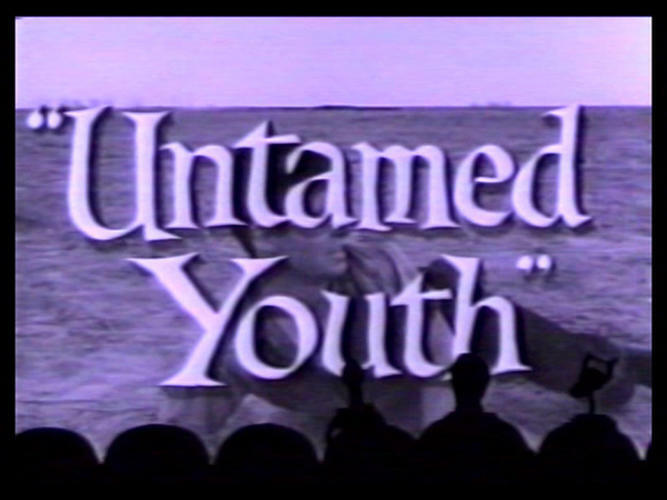 Join Joel, Servo, and Crow as they get their curfews in order for the Untamed Youth!